What's up with the Concordia beanie? The Cobber beanie is a fun tradition that all first-year students (including you!) participate in. All our incoming students wear a special beanie during their first days on campus – gold beanies for first-year students and maroon beanies for transfer students. 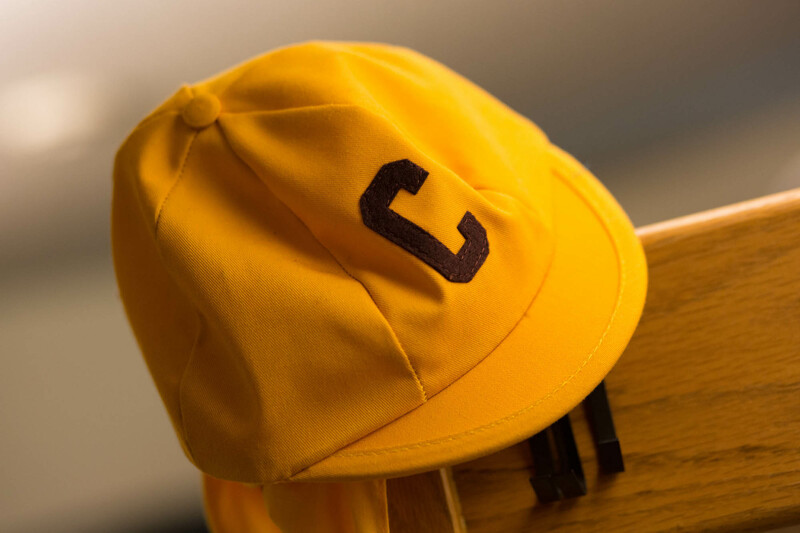 Concordia beanies were first introduced in fall 1922. The first beanies, called green caps, were made from green felt with a maroon ribbon band. All freshmen wore their beanies from the start of school through Homecoming. The green caps stayed around until fall 1942 when green dye (produced in Germany) could not be obtained. After 13 years without beanies, they were reintroduced in 1955, this time in Cobber colors, maroon and gold. Today the tradition of Concordia beanies is still going strong. New students are encouraged to wear their beanies from move-in Sunday until the Beanie Toss following Convocation on the first day of class. Beanies should not be worn off campus. Replacements for lost or stolen beanies may be purchased for $7 at the Parke Student Leadership Center. Hazing activities involving the beanie are not permitted. Hazing is a violation of college policy. Violations of this policy should be reported to Residence Hall staff, Orientation Leaders or the Student Affairs Office. After Convocation, all new students take part in the Beanie Toss. This tradition marks the first day of your Concordia College academic career.